Named for Ocean Side where the style originated, Ocean Side Jewelry captures all the beauty of today's fashion. 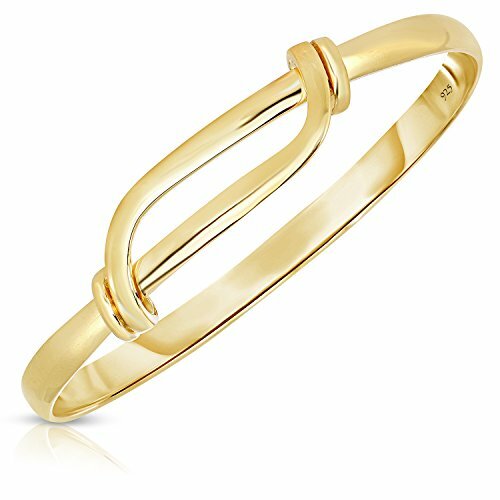 Made from high quality 14k gold plated sterling silver, this adjustable bracelet is designed to expand and fit wrist sizes from 6 to 7 inches. It's design is meant to resemble a sailor's knot that is used to tie two strands of ropes together. The adjustable design has a slight flare and gives this bracelet an aesthetically smooth and refined look. Made of sterling silver, this classic look complements just about any wardrobe for any occasion. Measures 6 1/4" around the inside, slides and expands to 7 1/4"
Luxuriously 14K Gold Plated Sterling Silver.